First off, Dave, do your harder problems (e.g. 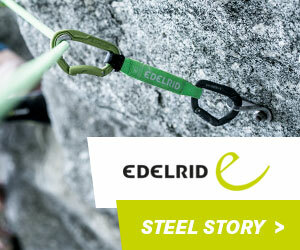 8B+) or bolder routes (E8 flash/E9 headpoint) stand out - or both? When you look back, do ‘the hardest’ stand out? As clichéd as it sounds, the grade is kind of irrelevant to whether a climb sticks in my mind or not; it’s more the experience that I have whilst trying a particular climb that I remember. I don’t want to climb a piece of rock for the difficulty, I want to climb a piece of rock because I want to climb it! This experience can be impacted by a number of factors: the historical significance of a climb, both to me personally and in climbing history; the challenge the climb presents to me, whether this be mental, physical or both; and the emotions I experience whilst attempting it. I have a life list of both boulders and routes and managing to climb one of these always stands out, especially if the climb puts up a fight! As I'm not a trad climber, the list of routes is much shorter than problems, but the first climbing film I ever watched was Hard Grit and the climbs that really stood out to me were Meshuga, New Statesman and Marble Wall, so climbing Meshuga in 2013 felt incredible, although slightly surreal. The challenge that it presented to me was a strange one; I had been going well on trad and entertained the idea of having a flash attempt but when I walked round to see it I was so intimidated I immediately decided that was foolish and so put a rope down it. I managed to flash it on a top rope and then repeated it once more and knew that I had to make the decision as to whether it was worth leading, I mulled it over for around 20 minutes and then went for it. I think head-pointing is strange, I've done relatively little of it. You’ve kind of done something and yet, at the same time, you haven’t. I have enjoyed flashing trad routes much more as you go into that flow state, and before you know it it’s over. Gaia was very much like this for me and is probably still one of my proudest (potentially daftest) achievements. Boulders-wise, I still don’t think I have done a problem which fully pushes me to the maximum of my physical capabilities, as for me the mental aspects of trying to climb something affects my ability much more. The problems that I remember most are the ones that presented a mental challenge, which could be for a whole host of reasons but I persevered and managed to end up on top. As a coach, do you learn from your clients? Do you pick up on client's traits or habits that you also find yourself doing, and suddenly the client's training or advice also benefits you? I'm sure I do learn from the athletes I coach and train. Being a coach is all about interaction with people and watching how they react or cope in different situations. From this I have to go away and enhance my knowledge to be able to feed back to them in an understandable and appropriate way. I think this is why I am quite good at what I do; I am far from the most knowledgeable coach out there but I am realistic and honest with people about their goals, and also good at listening. I will often be working with a client and they do something that I think would help another client or my own personal climbing. This interaction, whether it be with clients or friends, is something I love about climbing and life in general, we are constantly challenging each other and presenting new ideas, which breeds creativity and leads to progression. I have recently been watching lots of videos of weight lifters, personal trainers and gymnasts to get ideas for exercises that will translate well into climbing. This sharing is great for enhancement of performance but also for motivation, as doing the same old thing leads to stagnation and loss of quality, and the quality of practice is what's important for improvement and mastery of a skill. Do you see your photography and climbing in the same way - for example, do you see angles, shapes and colour in your photography like a climber sees lines of holds, or lines up a rock? Photography, and videography actually, has always been about capturing the space that we are in. I like to see, and hear, the overall picture of what somebody is experiencing. I want to be able to tell you a story from a single shot. Colours, sounds, emotions and landscapes all add to this, if someone is happy or is trying hard I want to hear this, I want to experience what that moment meant to them. I like simple, whether that be one-shot sends on boulders, or friends having fun on a road trip. For me, as technology improves, the overall quality of scene setting and story telling decreases, they become about showing off and lose the intimate feel of being alone in nature or out for a big day with friends. A good film for me is one I can watch over and over again; Slackjaw Films did this really well with Hard Grit, Stone Love and Stick It. Outside of climbing, I recently really enjoyed Zabardast by Jerome Tanon, and anything done by Jordan Manley is a joy to watch. I'm also a big fan of Between the Trees as it captures the essence of climbing in my favourite place, the Forest of Fontainebleau. One thing I enjoy the most is seeing videos of my friends sending something I know they have put a lot of time and effort into, it’s a great feeling to see their happiness and often relief! Is Raven Tor really 'the best crag in the world’?! No. Peak limestone is purely an outdoor training facility. Has Alex Barrows actually got double-jointed knees so he can use kneebars on everything?! It would be good for Alex and Dave Graham to have a kneebar off but I fear Dave would have Alex’s pants down. Both Dave and Mina: what are the best (and worst) places you’ve travelled to for bouldering? If you could pick just one location for your Desert Island...? Dave: Fontainebleau, the end. Brione in Switzerland is also incredible; it’s the best rock I have ever climbed on in a beautiful mountain setting. The South East is probably my favourite place in the States, but that’s because it’s similar to Fontainebleau; I’d also like to return to the Valley, as the bouldering there is great. Flock Hill in New Zealand really does feel like you’re alone in the world; big, often intimidating, boulders stranded at the top of a big hill, it’s idyllic. The climbing style is also like Fontainebleau, which increases its appeal to me. I highly rate good old Blighty; yes the weather can be awful but the variety of rock and climbing in such a small space is mind blowing, and we definitely have many world class lines, to be honest it’s nice that we have bad weather as it means only the truly keen come and visit, and they normally love it. Mina: My favourite bouldering area has to be to Rocklands but before it got really busy….it’s an amazing place to visit, with incredible rock and scenery and a sense of really big space - I love that aspect of climbing trips. You seem like a strong team! As a couple, is your climbing mutually complementary? Do you support each other if you’ve got differing goals, or is it sometimes easier just to do different things with different people? Dave: We have very different goals and actually very rarely climb together, but we value very similar things and have a similar outlook on climbing and what we want from it. I have matured a lot in the 11 years I have known Mina; I came into climbing late and from a competitive sports background, which meant I was very outcome orientated and over the years I have lost climbing partners due to this - we are still friends but they won’t climb with me any more, really. Together, we've worked on my approach, and although I am still outcome orientated at times, I am much more process focussed and would you believe it, it often results in a more positive performance! This is something I really try to nurture in climbers, both clients and friends, and it’s what I am still the most fascinated in when I meet someone; I want to know what their approach is and what makes them tick. To me Mina embodies this process focus; yes she gets angry and frustrated and definitely upset, but every time she goes to the wall or the crag or into the cellar, you know she is giving absolutely everything she has and at the end of the day, upon reflection, will have had fun and learnt something to take into tomorrow. Mina: We actually don’t climb together that much anymore! David says it’s my fault because I got really psyched for sport climbing which he isn’t that bothered about. We have done a lot of bouldering trips together in the past, which have been amazing, but recently it’s been more separate. Having said that, we still live very much in line with each other and are hugely involved and invested in each other’s processes and goals within climbing. Even though we often travel and climb separately we are very much a team. Once you get to a certain level of dedication in an activity like climbing, I think it helps to have a partner who fully understands and supports (as in, does what you do). Do you both agree? Then again, there are plenty of folk who don’t have partners that climb. Dave: I think so, definitely. I have had friends in the past who say they like having a non-climbing partner as it gives them space from the bubble, but in the end they always want more time to climb than they get and it invariably ends up fizzling out. Trips are the big thing; going away for 2 or 3 months wouldn’t be possible if your partner didn’t climb, or at least have a passion that they were as obsessed with as you are about climbing. I think it can work, but you just have to be more driven by what you can do within a day, or the odd week here and there. Mike Adams is a great example of this - he's probably climbed more hard boulders in the UK than anyone (Dan Varian may have caught him up) and his wife doesn’t climb, but he just makes the most of any free time to get out there. I think this is hugely inspiring. Mina: Absolutely. I think, given how very keen we both are, it might be tricky if the other one didn’t climb or at least didn’t have a similar passion. I sometimes take off on a trip for two months (or he will) and that can be hard - we miss each other - but we never begrudge the trip or experience. I want him to go off and see the world and do what he wants to do but equally if I am more keen to sport climb, I probably won’t go on a long bouldering trip just because he is….There is a good dose of independence, trust, support and mutual respect in our relationship which I value very highly. Mina, do you take similar satisfaction out of bouldering and sport? What is the essence of climbing that you enjoy most? I am much more keen for sport climbing nowadays although I do still enjoy a spot of bouldering! I love the physical challenge in both but feeling fit is an incredible feeling and on long routes you get to sit at the edge of failure in that “try hard” space for a lot longer! I enjoy the fight. Do you think climbing can be summarised as ‘the sum of many marginal gains’? Is that a good way to look at how you need to focus on the bigger picture of your climbing goals? Absolutely, especially when you have been climbing for some time. Initially there will be big gains in certain areas but as you develop and become a better all round climber, the gains get more marginal. It becomes 2% here and there. That is partly why I enjoyed my switch to sport climbing a few years back. Even though I had a base level from when I was younger, I still had this huge improvement curve as I put the effort in to get fitter. It was really satisfying. What was more nerve-racking: knowing you were on redpoint for Mecca Extension, or giving a TED talk?! The TED talk was way more terrifying! By the time I was on redpoint for Mecca Extension I knew I could do it, it was a matter of when, and I could always try another day. The TED talk was scary! David Mason is a climbing coach, and supported by Moon Climbing and Unparallel. He's a skilled hand behind the lens, too. Visit his website here. Mina Leslie-Wujastyk is sponsored by Arc'teryx, Five Ten, Organic Climbing and DMM. She's also a qualified yoga instructor and has given numerous public speaking presentations. Visit her website here.